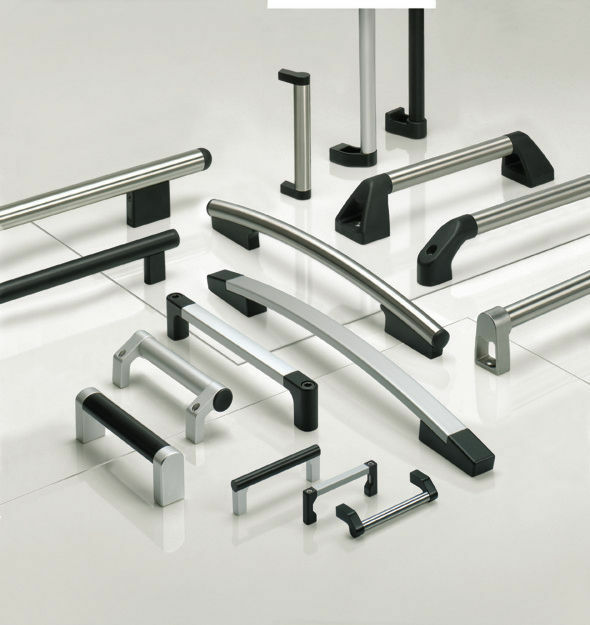 Rohde AG, world's leader in making durable handles, introduces the widest range of handles for all your mechanical, pneumatical or electrical needs. The electrical version prioritizes customers' safety by leading all emergency stops, LED and similar buttons out of the handle. The aluminum bow-types are made of different anodizing versions or powder coated of either profiled aluminum, round bar aluminum or chilled casting. These type of handles offer a wide variety of standard types for 19" housings. The stainless steel types are highly useful in industries with high corrosive chemical demands like medicine technology, chemical installations and food industry. On the other hand, machine and control housing types are highly reliable aluminum handles used for huge machine with high dimensions.